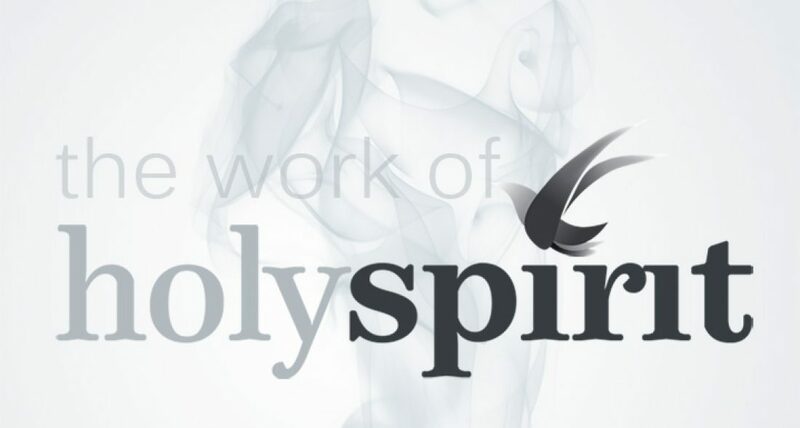 Last week we looked at several aspects of the work of the Holy Spirit. It is important that we understand how the Spirit works in our lives. Here are three more areas He works in our lives. The fruit of the Spirit[i] is a result of the filling of the Spirit. This direct correlation to the filling of the Spirit makes it imperative for us to be living a life of submission to God, so as to enjoy a fruitful life. A fruit-bearing Christian is joy to behold; a witness to reckon; and a force to withstand. We understand that the reference here is to ‘fruit’ not ‘fruits’—it is a fruit of nine flavors[ii]. The first three are in relation to God; the next three relate to others; and the final three relate to the Christian as a person. Jesus, Others, You (J.O.Y), this is the secret of a person’s joy (Remember the Sunday School lesson?). The fruit of the Spirit completes the Christian. Any discussion about gifts can quickly become controversial. We assume that a spiritually gifted person is a highly spiritual person – i.e. the more gifts one exhibits, the greater his or her spirituality. Nothing can be further from the truth. The truth about spiritual gifts is that every believer has been given gifts at the time of his or her conversion and the purpose of these gifts are specifically to benefit others and to edify the saints within the Church. There are three specific passages that reference spiritual gifts, and we find them in the following Epistles: Romans[iii]; 1 Corinthians[iv] and Ephesians[v]. These gifts can be divided into four types according to the purpose that they serve. First, we have the special gifts of apostles, prophets, evangelists and pastors/teachers. These are used to equip God’s people. Second, we have the speaking gifts of prophecy, teaching, exhortation, the word of wisdom and the word of knowledge. These are given to explain God’s truth. The third category is the serving gifts that include the gifts of helping, leadership, administration, giving, showing mercy, discerning spirits, faith and hospitality. These make possible the work of God to be accomplished. Lastly, we have the sign gifts, which include the gifts of tongues, interpretation of tongues, miracles and healings. The purpose and use of these gifts is to establish God’s authority (Jeremiah, 1998). The time periods in the Bible when healings of miracles are mentioned (periods of Moses and Aaron, Elijah and Elisha, Jesus and the Apostles, and, in the book of Revelation, the two witnesses) indicate that supernatural attestation of God’s work happens during the darkest times of the human age. Alternatively, the sign gifts were necessary evidence to unbelievers for the work of the divine. Today, while God still works miracles, it is the written Word of God that primarily showcases Him. Our look at the work of the Holy Spirit is in no way exhaustive. Other important areas we’ve not touched upon include the conviction of sin regeneration of the believer[xi]; the guarantee of the saint[xii] etc. The person and presence of the Holy Spirit is valuable, there is no denying that. We are thankful that upon the request of our Lord Jesus Christ, the Father sent the Holy Spirit to reside in us, and be with us as we live life day by day. With Him, we are able to face the world head on, knowing with certainty that we are being transformed daily to the image of the Son. We are also aware that the Holy Spirit restrains evil within this world[xiii]. Evil exists, it is true; but in God’s sovereign time, it will be destroyed. Until then, the Holy Spirit prevents the world from going crazy and for that, we are extremely grateful. It is strongly recommended that as a follow-up and review to this article, the reader continues to dwell on this passage. Consider making notes on what has been learned. Title it: “Why did Jesus have to go away?” Studying this passage and understanding its implications will further help us to appreciate the personhood and the work of the Holy Spirit, the third person of the Godhead. 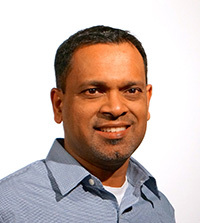 Viji Roberts is in fellowship at New Life Bible Chapel, Canada, where he also serves as an Elder. In 2012, God called him to His work on a full time basis. He has since been involved with the Biblical Eldership Resources (biblicaleldership.com) and the Voice of the Martyrs, Canada (persecution.net). He also sits on the board of MSC Canada (msccanada.org), a global missions organization; and FBH International (fbhinternational.com), a global radio ministry. He lives in Mississauga, Ontario, with his wife, Joyce and son, Daniel.